Mujer Latina Today is a powerful Social Media Platform that connects, inspires and informs the Latino community in Ohio, the Midwest and the rest of the United States. 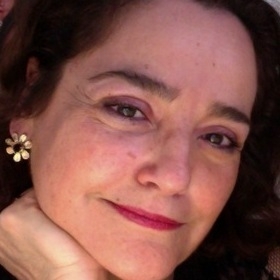 Lorena Mora-Mowry is the owner and creative force behind www.MujerLatinaToday.com ™ and Mora Media LLC. After twelve years of operation as a web-site, MujerLatinaToday.com™ has evolved from a blog to a social media platform that aims to connect and inform the Hispanic/Latino community, while also inspiring the community through a focus on success stories. Mujer Latina Today is a highly recognized website dedicated to “The Voice of the Today’s Latinos” with more than 1,000 interviews and almost 700,000 minutes watched on Mujer Latina Today’s YouTube channel. http://MujerLatinaToday.com interviews have highlighted the lives of many Latinos in Ohio and all across the U.S. and has made an impact and inspired others through their stories. Lorena’s passion and energy for journalism and people cements a commitment to transform the lives of many through the stories presented in Mujer Latina Today. In 2017, MujerLatinaToday.com was the media partner of Latina Entrepreneurship Academy program organized by LULAC Cincinnati and sponsored by Hispanic Chamber Cincinnati USA. In 2016, MujerLatinaToday.com was media partner of the 2015 LULAC Cincinnati Gala Awards at the Freedom Center. In 2015, MujerLatinaToday.com was a media partner with Santa Maria Community Services and Hispanic Chamber Cincinnati USA Foundation for the 2015 “Strengthen Women /Fortaleciéndote Mujer – Domestic Violence program in Price Hill. 2015 Latino Health Summit organized by the Ohio Latino Affairs Commission at The Ohio State University. About Lorena Mora-Mowry – Since March 2017 Lorena has worked as a Guardian Ad Litem for Unaccompanied Minors custody / Dependency cases at Prokids. Lorena volunteers with groups that provide leadership and support to Latinas in Ohio. She received the 2010 Distinguished Hispanic Ohioan Award for her leadership and efforts to improve conditions for the Hispanic/Latino community. Furthermore, she was inducted in the 2010 LULAC Ohio Women’s Hall of Fame, in recognition of her outstanding leadership. Lorena received from the YWCA of Greater Cincinnati Alliance for Immigrant Women an award for her exceptional work in the community by supporting immigrant survivors of domestic violence (2012). Lorena’s volunteer work was recognized with the 2015 YWCA of Greater Cincinnati Volunteer Service Award.